Ashit Desai, Composer, Performer - Hema Desai, Performer - Jalan, Writer Copyright : Satyam Cassette Ind. Ashit Desai, Composer, Performer - Hema Desai, Performer - Befam, Writer Copyright : Satyam Cassette Ind. Ashit Desai, Composer, Performer - Hema Desai, Performer - Barbad Junagadhi, Writer Copyright : Satyam Cassette Ind. Ashit Desai, Composer, Performer - Hema Desai, Performer - Nayan Desai, Writer Copyright : Satyam Cassette Ind. Ashit Desai, Composer, Performer - Hema Desai, Performer - Harshad Chandarana, Writer Copyright : Satyam Cassette Ind. 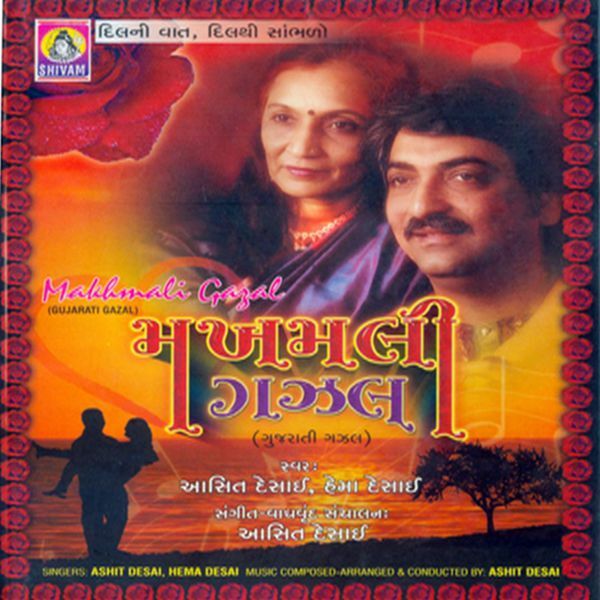 Ashit Desai, Composer, Performer - Hema Desai, Performer - Kailash Pandit, Writer Copyright : Satyam Cassette Ind. Ashit Desai, Composer, Performer - Hema Desai, Performer - Sudhir Desai, Writer Copyright : Satyam Cassette Ind. Ashit Desai, Composer, Performer - Hema Desai, Performer - Amrit Ghayal, Writer Copyright : Satyam Cassette Ind.